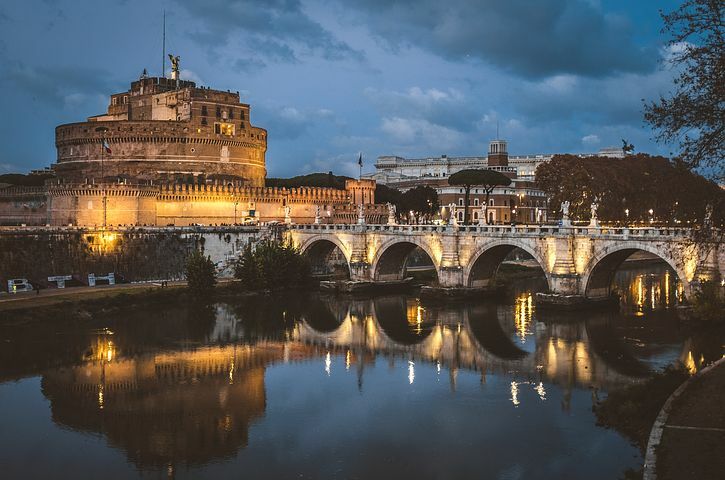 Rome’s stunning ruins, monuments and churches offer an interesting insight into the city’s remarkable and ancient history. Discover more about the Roman Empire on your trip by visiting the following five landmarks in the Italian capital. The Roman Colosseum is at the top of every traveler’s bucket list, as the structure is a jaw-dropping testament to Ancient Rome’s architectural skills. Of course, the most intriguing aspect of the Colosseum is that it once held gladiator games for entertainment, with the first bloody gladiator fight taking place in AD 82. A crowd of 50,000 people would watch men and beasts fight to the death in the public forum. It is one attraction not to be missed, but book ahead to avoid lengthy queues. Vatican City might be in Rome, but it is an independent state and has been since 1929. It, therefore, has its own coins, flag, stamps, Swiss Guard and militia, as well as 800 full-time citizens and the Pope. You are bound to fall in love with St Peter’s Square during a trip to Vatican City, which was designed in the 17th century by Bernini. If your shoulders are covered and you are wearing shorts or a skirt over the knee, you will be allowed to enter St. Peter’s Basilica to view Michelangelo’s Pieta. You can also enjoy one of the many Vatican tours to view historical Italian masterpieces, such as Michelangelo’s Sistine Chapel. The Roman Forum was the beating heart of city life in Ancient Rome, as it played host to various festivals, funerals, rituals, and celebrations. Rome grew around the marshlands that were empty until the 7th century BC. However, the grassland was unloved in the 8th century and continued to be until intriguing excavations in the early 20th century. As a result, you can now walk around the arches and structures to learn more about the history of the area, before climbing your way up to the top of Palatine Hill to experience mesmerizing views of Rome. The Pantheon was constructed back in 27 BC and has defied the odds by remaining remarkably intact. However, it was rebuilt in the early 2nd century AD due to fire damage. An altar was also added to Rome’s temple to the Gods to improve Christian worships, as Italy abandoned pagan gods. Following the Renaissance, the Pantheon served as a tomb for some of Rome’s esteemed elite and artists, such as former Italian kings and the painter Raphael. You will never want to leave Piazza Navona, which dates back to AD 89 and was historically the site of sporting events at Domitian’s stadium. Step inside the charming square to view three beautiful fountains, such as Bernini’s Fountain of the Four Rivers, which has four statues that each represent a river from different continents. Do you have a favorite landmark to visit in Rome? Share your travel tips in the below comment section.